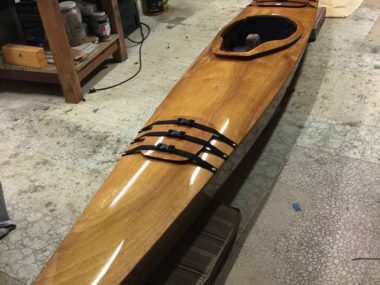 I did some wet sanding on the kayak after the first coat. The directions say to use 400 grit, but I wet sanded the first two coats with 320, and then switched to 400 for the next two coats. I grabbed my Go Pro Hero 5 Black and set it up to do a time lapse while I sanded. I edited the footage using my 27″ iMac using Final Cut Pro X. It chugged a bit, as there were a TON of pictures to process, but it wasn’t too hard to create a short little video.